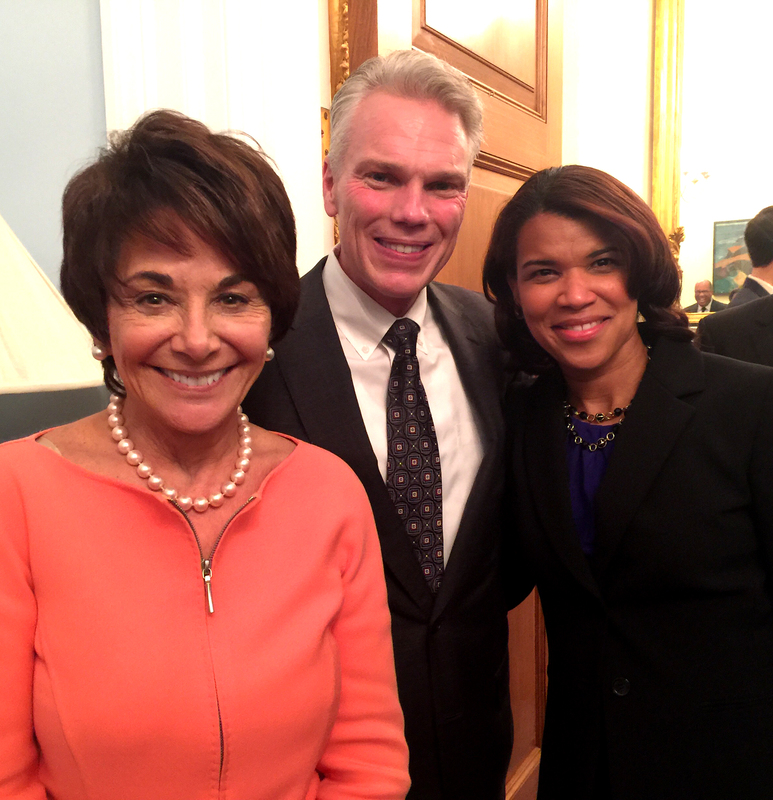 Attending President Obama’s last State of the Union Address as a guest of Congresswoman Tulsi Gabbard was a night to remember. The invitation came as a big surprise while I was on my way to a Criminal Justice Briefing at the White House. I received the call from Congresswoman Gabbard (D-Hawaii) and she shared with me that she had been having difficulty deciding who she wanted to be her guest. She expressed that she wanted to invite someone special who believed in and fought for some of the same issues that she is most passionate about. Some of the #cut50 team met with her earlier that day and shared my story with her. #cut50 is a national bipartisan initiative to reform the criminal justice system. When she asked me if I would be interested in coming, my response was “of course.” Then I spent the rest of the day asking myself, did that just happen? Mainly, because God knows how significant January 2016 is to me. Ever since January 2015, when I was unexpectedly appointed to the Virginia Criminal Sentencing Commission by Virginia Governor Terry McAuliffe, I have been anticipating great things. This is the month that I would have been released from federal prison had I not received executive clemency from President Clinton 15 years ago. I acknowledge that I made poor decisions in college that led me down a self-destructive path, landed me in federal prison, and could have also culminated in my death. However, I walked out of prison after serving 6.5 years seeking redemption not only for myself, but for the ones I left behind in prison. I have survivor’s guilt and believe that no other first-time drug offenders should be sitting in prison with a LIFE sentence, especially if they didn’t murder anyone. Since coming home, I’ve had the opportunity to create beautiful memories with my family. I’ve become a national and international public speaker, domestic violence spokesperson, and criminal justice advocate. I’ve chosen to be committed in sharing my story as an educational tool for young people so they can make healthier choices. As a person affected by the criminal justice system, I have to continue to be the voice that can humanize the issues in the fight for change in drug policy. Although everyone tells me that I’m doing a wonderful job and how much of a difference my voice makes, I often struggle to accept the fact that I don’t live a normal life. I’m not complaining because I know where I could be. If it were not for public speaking, my employment opportunities would be limited due to my felony conviction. Therefore, I am grateful for this platform. 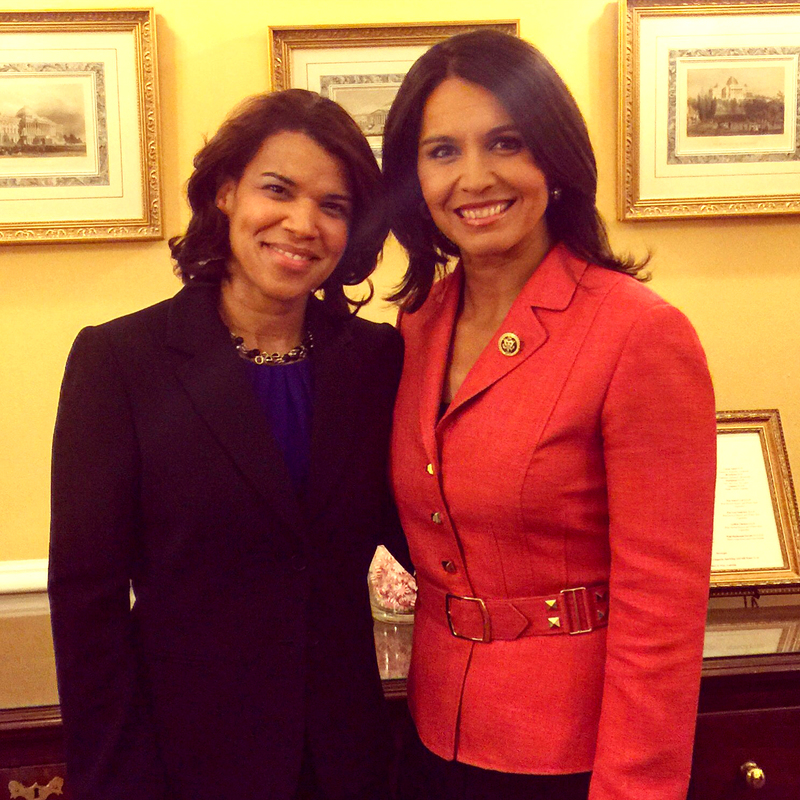 After receiving the invitation from Congresswoman Gabbard, I went online to find out more about her. I discovered that in 2002, at 21 years old, she became the youngest person ever elected to the Hawaii State Legislature. She is in the military and was deployed to the Middle East twice. In 2009, after her second deployment, she offered to serve on the Honolulu City Council. 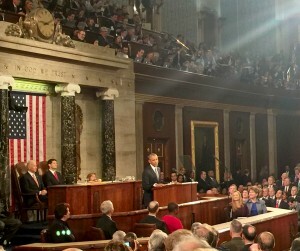 Then in 2013, she took her official oath of office in the U.S. House of Representatives. Knowing more about her made it an even greater honor to have been invited as her guest to the SOTU. While waiting to meet with Congressman Gabbard on the night of the SOTU, I decided to stop by Congressman Bobby Scott’s (D-Virginia) office to say hello. I will forever be grateful for his influence and support during my journey to Executive Clemency and ultimately my freedom. His Chief of Staff escorted me to Congresswoman’s Gabbard’s Office. I had brought a few copies of my book, Poster Child: The Kemba Smith Story and autographed them. From there, her team ensured that I was taken care of until she finished a meeting. I sat waiting in the U.S. Capitol Member’s Only dining room. She walked in and as I stood up to greet her at our table, I was in awe. She is an intelligent, ambitious and strong woman, and her beauty and confidence was a compliment to what I already knew about her. So as we sat down, I immediately began to thank her for the invitation and to congratulate her on her many accomplishments. Before I could finish what I was saying, she thanked me, but shook her head to say “no, look at all of what you’ve done.” She thanked me for my dedication and for speaking out about the issues pertaining to my story that are helping to change lives and policy. The conversation took off from there and as we began to get acquainted, she shared something with me that I will always remember. Her father told her when she was younger, “The only way to be truly happy in life is to live a life of service.” As we discussed how we each lived that life, she helped me realize that my life of service is equally as important to her life of service despite the fact that I’m reminded of my past every time I share my story. After dinner, we headed to Democratic Leader of the U.S. House of Representatives, Nancy Pelosi’s office for a meet and greet. 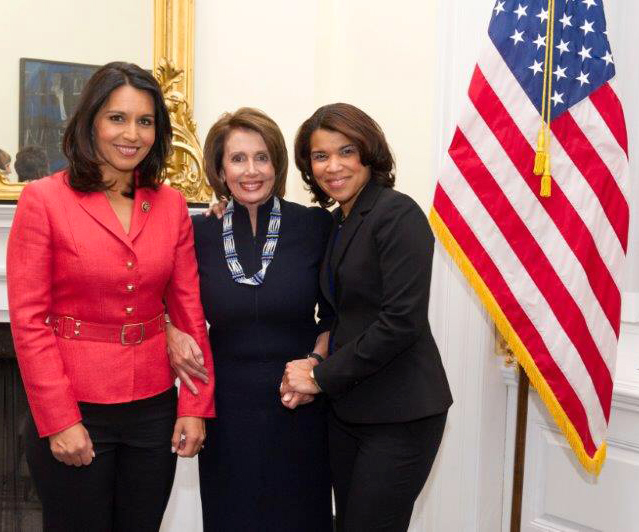 Along the way, I bumped into Representatives from the Congressional Black Caucus and they were all excited to see me there and happy that Congresswoman Gabbard had invited me. Once we got to Leader Pelosi’s office, I immediately went into advocacy mode and shared my story with everyone I met. Each and every person I came in contact with was very sympathetic and agreed that there was a true need for a change in drug policy. As 8 p.m. approached, I pulled out my ticket to see where my assigned seat was located. There was so much security that Congresswoman Gabbard wanted to walk me to my seating area to ensure that no one questioned me. We agreed on a location to meet afterwards and I proceeded to my seating area. My thoughts were running in many directions while we waited for the people who govern this country to take their seats on the floor. I looked across the room and both Tulsi and I waved at each other so we could know where each of us was in the room. I began to introduce myself to the people seated around me. One person was a Legislative Correspondent and a Congressman’s wife. I realized that the Executive Seating Area was to my left so when I saw First Lady Michelle Obama walk in, I felt proud and relieved for her that this was President Obama’s last year in office. I can’t even imagine her life as a mother, wife and First Lady Of The United States throughout the presidency. Right when he said that, I knew that criminal justice was not going to be a focal point of his speech. As I continued to listen, I was moved by his words, but I wished he would have talked a minute longer about the need for criminal justice reform as it relates to drug laws and sentencing. Placing criminal justice reform in the same sentence with prescription and heroin drug abuse implies that those are the focal points. However, I would’ve liked to have heard the President use stronger and specific language to address criminal justice reform. Problems such as over-criminalization and mass incarceration are some of the high priority issues that Congress needs to focus on over the next 5 to 10 years, if they truly desire to right some of the wrongs within our broken criminal justice system. I sat there proud and fully aware that my mission was to continue to be one of those voices. After the address, as we were waiting to be granted permission to leave our section, I turned around behind me and saw a little boy. He was dressed neatly in pants, dress shirt and tie, but he had no arms. My heart immediately ached and I was hoping that he wasn’t a Syrian refugee. I started a conversation with the woman sitting with him and began discussing certain aspects about President Obama’s speech. I asked her what their story was and she began to share. I could tell that she was happy with President Obama’s remarks on Syria and Muslims and I shared in her happiness. Please visit their Facebook page to read more about them.There are so many stories and so many issues to fight. 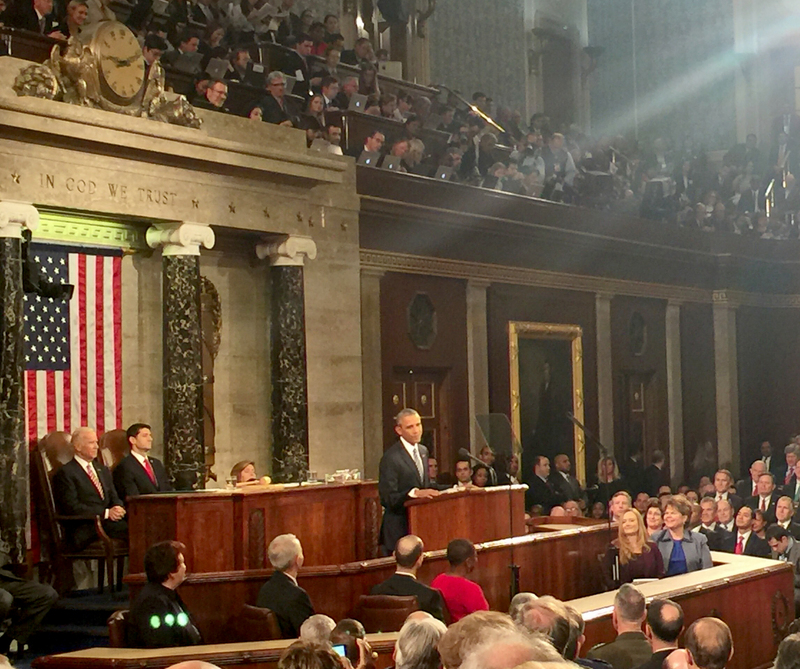 Overall, my experience as a guest at President Obama’s final State of the Union Address has left a mark on me for a lifetime. A mark that will forever inspire me to continue being a voice for all of our issues so that we may one day achieve the good and equality we desire to see in our country. After all, the only reason why I received executive clemency 15 years ago is because of those same voices, so it is my calling and duty to pursue happiness not only for myself, but others too.